Santa Muerte devotees flocked to Tepito, Mexico City’s most notorious barrio, on Halloween night, 2015, to commemorate the 14th anniversary of the founding of the first public shrine by former quesadilla vendor, Enriqueta Romero. On October 31, 2001, Romero made history by setting her life-size effigy of the skeleton saint outside on the sidewalk in front of her home. 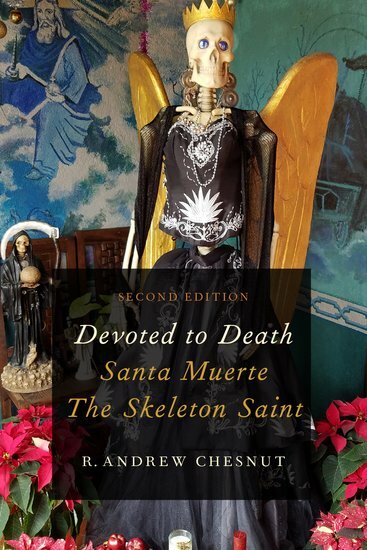 The first public display of Saint Death marks the transition from what used to be an occult veneration unknown to the great majority of Mexicans to the public devotion that it is today, claiming some 10 to 12 million devotees among Mexico, the U.S., Central America and beyond. Mexico City photographer Toni Francois and I have teamed up on several occasions.Her stunning photos of the 14th anniversary celebration are found here.